Cyprus being an EU member state falls under the EU VAT regime. Member states must adopt EU VAT Directives into their own legislation. 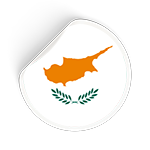 Detailed rules regulate reporting requirements of Cypriot transactions for Value Added Tax purposes. These include: invoice requirements, timeliness for an invoice to be issued, invoice and credit notes corrections rules, foreign currency reporting requirements and exchange rate sources, correction of previously submitted returns and accounting records that must be maintained for VAT purposes. VAT returns are in general made on a quarterly basis. However, the VAT Commissioner may allow businesses to file monthly returns OR to demand monthly returns. Currently, the VAT Commissioner has asked a number of tax payers to submit monthly returns instead of quarterly. Annual returns can be allowed for businesses with a VAT refund position but only upon prior approval of the VAT Commissioner. The Intrastat discloses details of movements of goods between Member States which take place for commercial reasons, recording the movement whenever goods enter the territory of Cyprus from other Member States or leave it to other Member States. Intrastat declarations can be submitted in paper format. The due date for submission is the 10th day of the month following the end of the relevant month. For example fo the month of January, declarations must be submitted the latest by 10th of February. The date of recording of arrivals and dispatches of goods must be included in the Intrastat returns is the month of arrival or dispatch of the goods to/ from Cyprus.